Soooo, last year we slacked (I know you were heartbroken…), but this year my daughter and I are all over it!!! Who will have the top Red Carpet fashions?!? 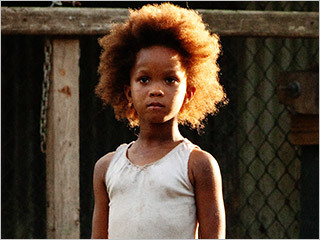 I want to see the star of Beasts of the Southern Wild, Quvenzhane Wallis. She was so rough in that movie and she’s a young cutie so that will be fun! Denzel…men definitely get the short end of the stick, but a fine man in a well-cut suit is always refreshing. Kerry Washington…I love, love, love her. She is so intelligent, talented, beautiful AND SHE IS OLIVIA POPE!!!! Jennifer Lawrence- I am dazzled by her depth of talent at such a young age. She is beautiful and will look fabulous in almost anything. Jessica Chastain, she was great in Zero Dark Thirty and always looks glamorous. The red hair kicks it up a notch.